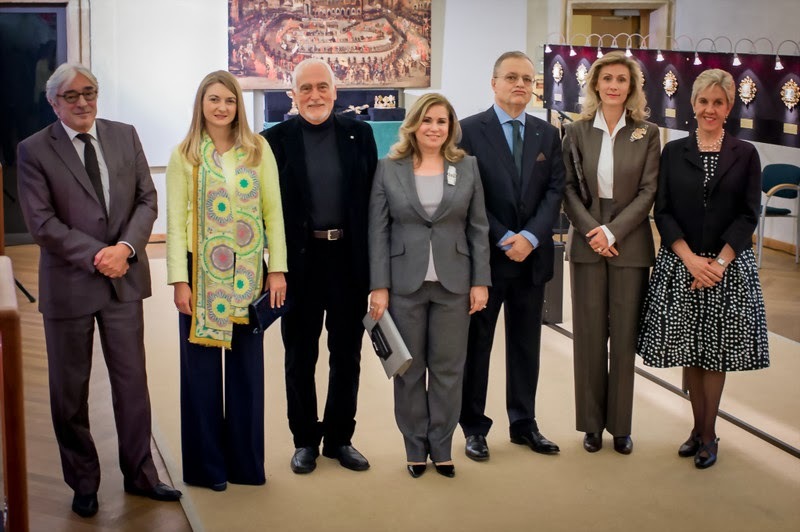 Presumably yesterday, Grand Duchess Maria Teresa, Hereditary Grand Duchess Stéphanie and Princess Sibilla visited the exhibition Le rêve italien de la Maison de Luxembourg at the stunning Abbaye de Neumünster. Jointly organised by the Italian embassy and Fondation Cavour, the exhibition shows a collection of jewelry and art objects by Roman artist Diego Percossi Papi dedicated to Emperor Henry VII of the House of Luxembourg on the occasion of the 700th anniversary of his death in Tuscany, more precisely in the town of Buonconvento near Siena. More visuals of the Grand Ducal ladies - Where can be petition to see those three out and about together more often? - can be found on the website of the cour.